This is the more up-market version of the 44A with a crank wind and film interlock. 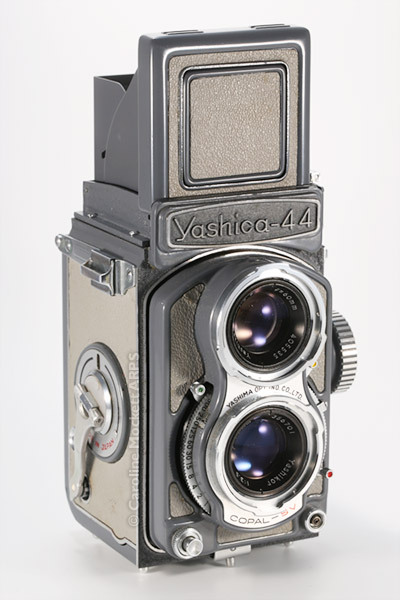 It was developed for as a direct response to the popularity of the Rolleiflex Baby Grey and was made in several different colours – this is one of the early Silver Grey versions (the colour was eventually discontinued and replaced by a darker slate grey after F&H filed a lawsuit). I also have one in Black. It’s a lovely little camera to use. See my photos made with the 44 Silver Grey.